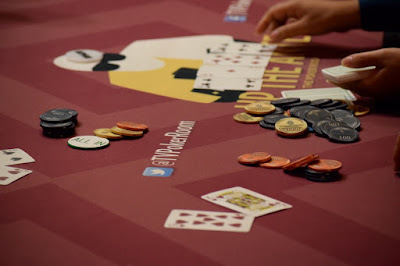 Registration is now closed on the second of five flights in the opening event of the first-ever WSOP Circuit series here, and the board shows 154 entries, bringing the opening day two-flight total to 356. This puts the event on pace to be more than 1,000 total entries. There are two flights tomorrow - 11am and 4pm - with the final flight in this $250,000 Guaranteed $365 buy-in going at 11am Saturday. Bad Beat Jackpots may not reflect current value. Come experience live poker 24 hours a day amid a comfortable setting in Thunder Valley's Poker Room featuring 21 tables with 210 seats, Omaha and Texas Hold 'Em, a variety of limit and no-limit games, along with daily tournaments, and special events. Visit us on our website to see our current promotions. Pull up a seat, we have a spot waiting for you.